Shelter and natural light are fundamental elements of architecture. The first is concerned with protection from natural elements; the second with the creative and sometimes spiritual interaction between the man-made and the natural worlds. One is solid and static, the other illuminates and animates. Architects through the ages have preoccupied themselves with how to marry these two opposing aspects of architecture, a marriage that at its finest transforms natural light itself into a building material. Seen through the eyes of an architect and photographer, The Architecture of Natural Light is the first publication to consider the many effects of natural illumination in contemporary buildings. This comprehensive and thoughtful survey begins with a brief introduction exploring the advances and experimentation of architects throughout the centuries. Each of the following seven chapters is devoted to a specific quality of natural light, including evanescence, atomization, and luminescence, and examines the particular uses of light through many disciplines—from art history to film and literature. With more than fifty case studies of buildings from around the world, this volume considers works by some of the world’s most influential architects, including Tadao Ando, Steven Holl, Herzog & de Meuron, Peter Zumthor, Frank Gehry, Álvaro Siza, Alberto Campo Baeza, Rafael Moneo, Rem Koolhaas, Jean Nouvel, Fumihiko Maki, and Toyo Ito, among others. 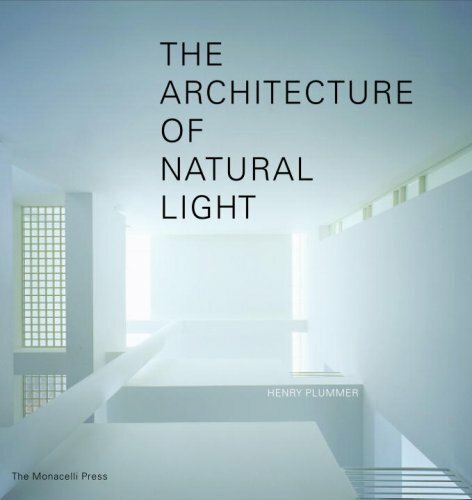 For all those seeking to create space that transcends the physical, The Architecture of Natural Light is a powerful and poetic yet practical survey that provides an original and timeless approach to contemporary architecture. If you have any questions about this product by Brand: The Monacelli Press, contact us by completing and submitting the form below. If you are looking for a specif part number, please include it with your message.